« We’re Opening a REAL, LIVE Studio in Mesa! The other night I had a vivid vision of what I wanted the Caravan to be like for 2014. The synergy of us all coming together was amazing, awe-inspiring really and I knew I had to find a way to make that happen for as many people as possible! 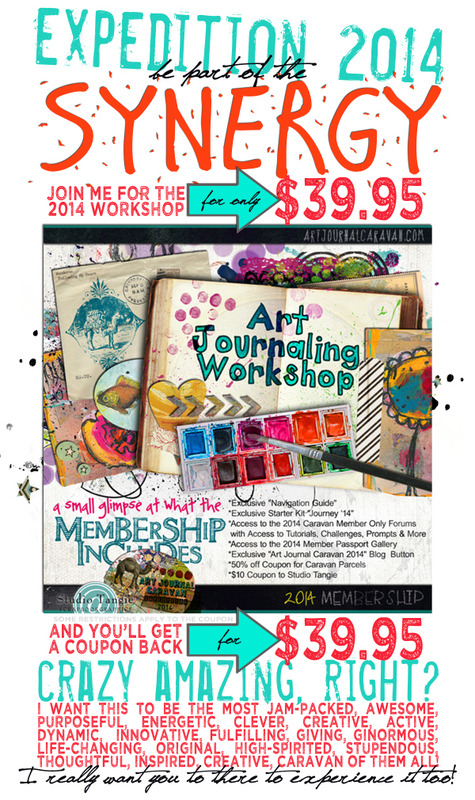 I’m offering this CRAZY invitation until 12/31/13, I REALLY want you to be there with us! 2 Responses to Be part of the 2014 Expedition! I am confused. Is this an online course or in your studio?